While we don't want to mess with the perfection that is peanut butter and jelly, sometimes you may want to try a new twist on it while paying homage to the traditional flavors that lured most of us as children. By using an artisan bread and heating it in butter, it melts the peanut butter and jelly and creates a crispy, buttery crust on the bread similar to the way you would when cooking grilled cheese. Try rye, whole grain or sourdough bread. 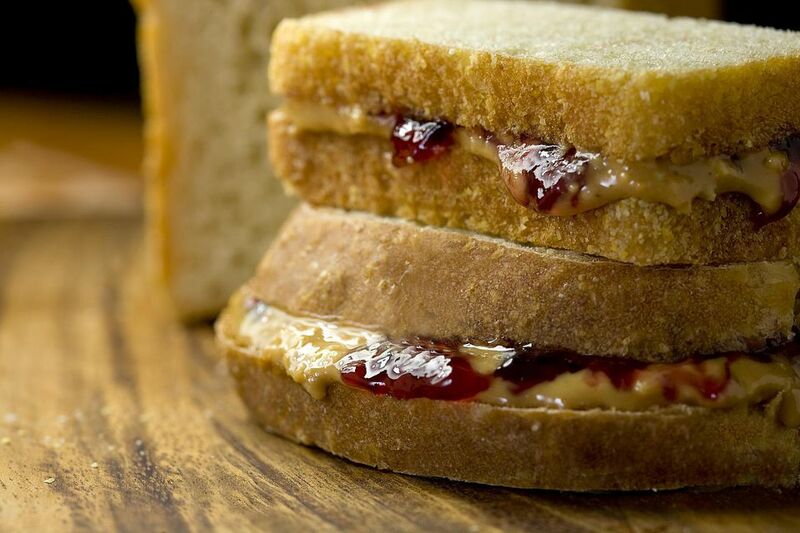 Prepare peanut butter sandwich using your favorite jelly or jam. Make sure it isn't too runny because you will be heating this sandwich and don't want all the jam to leak out. Heat a frying pan and melt the butter in the pan. Tilt pan to spread it around, so the butter covers the pan evenly. This is key to get a perfectly crispy crust on your bread. Remove the sandwich from pan, cut diagonally and serve immediately. Looking for other ways to perk up your beloved PB&J? Here are some other ways to enjoy a common childhood favorite that seems to make its way into adult diets. Try making french toast, then heating the peanut butter and jelly in it, or simply spreading it on french toast that's fresh off the griddle. Put peanut butter and jelly on a crepe. It still can be enjoyed for lunch, but it puts peanut butter and jelly on the menu for brunch and breakfast this way -- can't argue with that. Could it be made with pancakes instead of bread? Why not! When you want to enjoy peanut butter and jelly and change up the bread, it can easily be done by slathering peanut butter and jelly onto pancakes. You will not necessarily need syrup in this case, but you can, of course, add it if you want. Try it on a wrap. Instead of bulky bread, try putting the peanut butter and jelly on a healthy wrap. It may be slimmer volume-wise, but the taste will shine.